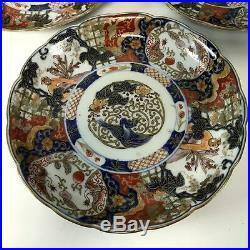 Set of 6 Japanese 19th Century Meiji Period Imari Porcelain Scalloped Rim Plates. Each measures approx 8.7" wide and 1.4" tall. They are all in very good condition with no chips or hairline. They date to second half of 1800's. ARDESH is over 10,000 square feet of unique furniture and finds to complement a wide range of decorating tastes and styles. Here in our shop you will be able to shop a large selection of our inventory. Owner Danial ARDESH is constantly on the hunt for well-made, fun and interesting items to bring into the store. Our many loyal customers have come to appreciate Danials knack for finding truly special pieces. We welcome you to explore ARDESH Finds & Furnishings. With a constantly changing inventory of unique items, no two visits are ever the same! We guarantee you will receive the item shown in the pictures, will be satisfied with its condition, and our service. All items are described to the best of our knowledge. We do our best to correctly represent the condition and color of each item in the photos but keep in mind monitor screen colors can differ. We respond to most inquiries the same day. All of our items are on display in our showroom located in Shelburne, VT. You are welcome to come view any item in person before purchasing. Damages: Please inspect all items immediately upon arrival. 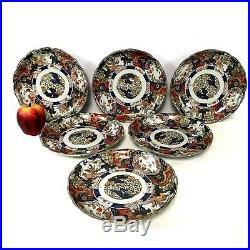 If you find any damages they need to be reported with-in 2 days of receipt of the item. Listing and template services provided by inkFrog. 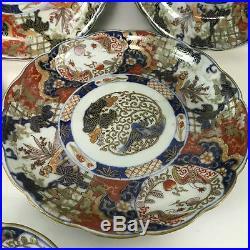 The item "Set of 6 Japanese 19th Century Meiji Period Imari Porcelain Scalloped Rim Plates" is in sale since Tuesday, December 4, 2018. 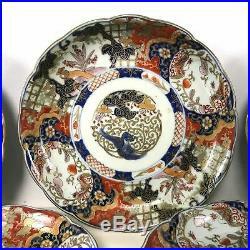 This item is in the category "Antiques\Asian Antiques\Japan\Plates". 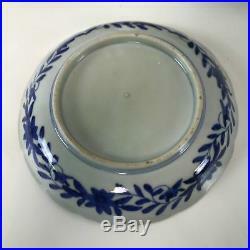 The seller is "ardesh" and is located in Shelburne, Vermont. This item can be shipped to United States, Canada, United Kingdom, Denmark, Romania, Slovakia, Bulgaria, Czech republic, Finland, Hungary, Latvia, Lithuania, Malta, Estonia, Australia, Greece, Portugal, Cyprus, Slovenia, Japan, Sweden, South Korea, Indonesia, Taiwan, South africa, Belgium, France, Hong Kong, Ireland, Netherlands, Poland, Spain, Italy, Germany, Austria, Bahamas, Israel, Mexico, New Zealand, Philippines, Singapore, Switzerland, Norway, Saudi arabia, Ukraine, United arab emirates, Qatar, Kuwait, Bahrain, Croatia, Malaysia, Brazil, Chile, Colombia, Costa rica, Panama, Trinidad and tobago, Guatemala, Honduras, Jamaica, Antigua and barbuda, Aruba, Belize, Dominica, Grenada, Saint kitts and nevis, Saint lucia, Montserrat, Turks and caicos islands, Barbados, Bangladesh, Bermuda, Brunei darussalam, Bolivia, Ecuador, Egypt, French guiana, Guernsey, Gibraltar, Guadeloupe, Iceland, Jersey, Jordan, Cambodia, Cayman islands, Liechtenstein, Sri lanka, Luxembourg, Monaco, Macao, Martinique, Maldives, Nicaragua, Oman, Peru, Pakistan, Paraguay, Reunion, Viet nam, Uruguay, China, Thailand.